The following article originally appeared in The Print on February 20, 2018. A great churning appears to be underway within India’s smaller neighbours. In Bangladesh, opposition leader Khaleda Zia has been sentenced to five years in jail for corruption. In Sri Lanka, former President Mahinda Rajapaksa’s party scored a big victory in local elections. In Nepal, K.P. Oli – who has a difficult history with India – has returned as prime minister. In the Maldives, a state of emergency has been declared by an embattled president Abdulla Yameen. In Bhutan, local elections are around the corner, amid calls from some politicians to decrease the country’s dependence on India. 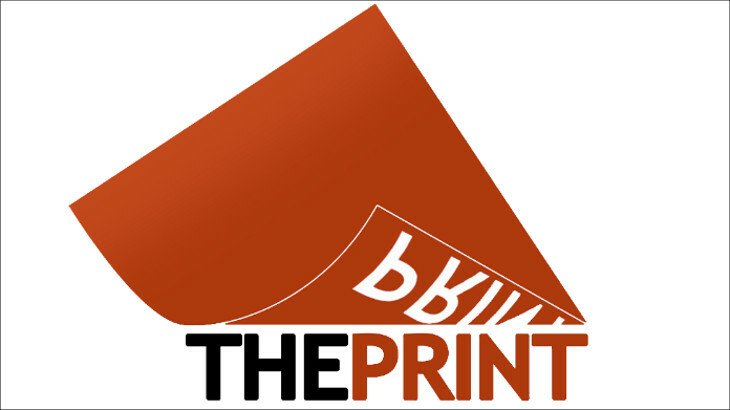 The Indian press – print, television, and online – has noted these developments and adopted a familiar refrain: India is losing the neighbourhood. It feeds a well-worn narrative, in which China is ascendant and India is surrounded, isolated, and helpless. But if one were to step back just a little, look at longer trends and the stark realities of India’s relationships with Bangladesh, Sri Lanka, Nepal, Bhutan, and the Maldives, the picture looks rather different. The political, economic, and military interdependence between India and its smaller neighbours (not counting Pakistan, Afghanistan, and Myanmar) is far too great, and is in fact deepening. India can certainly do a better job in building consent, trust, and goodwill with these countries. But reports of India’s demise as a regional power are greatly exaggerated. There are four important points to consider in assessing India’s relations with these neighbours. One, all are steadily democratising in practice or in spirit, although at different rates and with occasional setbacks. In the long term, this is a positive development. In the short run, this presents new kinds of challenges. Although the King retains significant powers, Bhutan has begun its evolution into a constitutional monarchy. Nepal has gone farther, becoming a republic. Bangladesh has transitioned away from years of military dictatorship to democratic rule, however flawed. And the Maldives had its first glimmer of democracy before Yameen established his stranglehold on power. Even Sri Lanka, which has a longer democratic tradition than the others, managed to end its civil war and a period of politics marked by regular assassinations of opposition leaders. Today, there are new, dissenting voices in all these states. Two, identity politics is on the rise everywhere. It is only natural, given India’s size and the fact that ethnicities traverse borders, that India would be dragged into the identity politics of its smaller neighbours. Thus, certain political forces in each of the neighbours find utility in anti-India rhetoric and actions, while their political opponents often seek advantage in closer ties with India. Minority groups and dissidents often seek Indian assistance, as recent events in the Maldives have shown. Nationalism and anti-Indianism have been constants over the past seventy years, although the factions have changed over time and the fault lines have sharpened. Three, many Indian commentators ignore the fact that as sovereign states, these countries have agency, and make decisions in their own self-interest. At times, these choices – whether political or policy – align with Indian preferences. At other times, they do not. India’s ability to determine outcomes, especially political outcomes, will therefore always be limited. Intervention of any kind could easily prove counterproductive. Indeed, some of the same voices in India who lament Indian inaction are just as likely to criticise Indian intervention for being overbearing, hegemonic, and reckless. Four, there is a tendency to exaggerate China’s footprint in India’s immediate neighbourhood. This is not to say that Chinese influence hasn’t increased—it has. Over the past few years, Beijing has played an unprecedented political role in Nepal. It benefits from strong military ties with Bangladesh dating back decades (Bangladesh is the second-largest recipient of Chinese arms after Pakistan). In Sri Lanka and the Maldives, China has become a major financier, especially of infrastructure, which it has tried to translate into political involvement. But the idea that India is playing ‘catch up’ to China in these countries or that China is set to replace India as the primary external actor is grossly misleading. China’s military presence remains limited, although the bounds are constantly being tested. Meanwhile, India’s security role is often overlooked, whether the Trilateral Maritime Security Cooperation Initiative with Sri Lanka and the Maldives, and unique arrangements with both Nepal and Bhutan. Although China is a major investor and exporter to these countries (just as it is to India), it does not rank among the top five importers for any of them, whereas India is the recipient of 94 per cent of Bhutanese and 63 per cent of Nepali exports. A few other realities should be taken into consideration, especially with Nepal and Bhutan. Despite the many differences over the past few years, Nepal still enjoys an open border with India, and over a million (possibly many more) Nepalis work in India without requiring permits. Seven regiments of Nepali citizens – Gorkhas – are part of the Indian Army, and the Indian government still pays pensions to some 127,000 Nepali veterans. These are not functions that China can replicate. The Indian Army also bears considerable responsibility for training and equipping the Royal Bhutan Army, which also coordinates closely with the Indian Air Force. Bhutan is by far the largest recipient of Indian aid, with over Rs 3,700 crore in 2017-2018, or about 57 per cent of India’s total aid. By contrast, Bhutan does not yet maintain official diplomatic relations with China. While of a different nature, India’s relations with Bangladesh, Sri Lanka, and the Maldives also point to considerable interdependence. In addition to having finally resolved the land boundary dispute with Bangladesh, India is increasingly investing there, with $7.8 billion in approved lines of credit since 2003, equivalent to about one-third of India’s total. Not only has Sri Lanka been the fourth-largest recipient of Indian aid over the past five years (after Bhutan, Nepal, and Afghanistan), but it has become a significant transshipment hub for India. India has provided humanitarian assistance to all five of these countries during disasters, whether Sri Lankan cyclones, Nepali earthquakes, or Maldivian water crises. Among other significant regional developments over the past several years are agreements for India to help develop Sri Lanka’s railways, a South Asian satellite for communications and meteorology launched last year by India, and increasing electrical grid connectivity with Nepal and Bangladesh. Will there still be difficulties in India’s relations with its neighbours? Absolutely. India has to overcome a history of interventionism (particularly between 1971 and 1990) and long periods of neglect. But mistaking differences and grievances for enmity is neither accurate nor particularly useful. Today, Maithripala Sirisena, Sheikh Hasina, Oli and Yameen are in power in Sri Lanka, Bangladesh, Nepal and the Maldives respectively. The first two are very crudely characterised as “pro-India” while the latter two are often described as “anti-India”. The reality is always more nuanced than such caricatures. It is in this political context, that many Indians have arrived at the conclusion that the neighbourhood is hostile to India. However, should the four be replaced by Rajapaksa, Khaleda Zia, Sher Bahadur Deuba and Mohamed Nasheed, many commentators would likely draw the exact same conclusion, which reveals just how meaningless such assessments are. A final point. With the possible exception of the United States, which resolved its land disputes with Canada and Mexico in the 1840s and 1850s, no global power has settled its neighbourhood before seeking wider aspirations. None of the European colonial powers did, not even Britain, which saw insurrections in Scotland and Ireland even as it was building a global empire. Nor did the Soviet Union, Japan, or China. Those who believe that India cannot have larger ambitions until every one of its regional differences is resolved would do well to reflect on this history.